?This test shows how top productivity can go hand-in-hand with extraordinary harvesting and destemming accuracy?, stated Thierry Le Briquer, head of the Grape & Olive Product Line at New Holland. 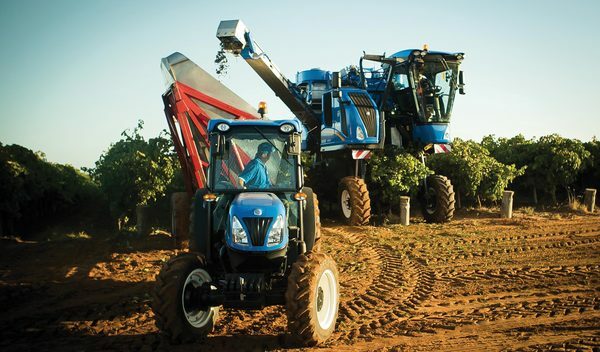 ?The test also confirms New Holland as the absolute leader in the grape harvester business, and the Braud 9090X as the highest-productivity grape-harvester ever?. ?We believe destemmed fruit quality is to become the next standard for the most demanding winemakers. Very soon some of the worlds most celebrated premium-quality wines could be produced from grapes harvested and destemmed by just one of our machines? says Philippe Boisseau, Grape & Olive Global Product Manager. ?The Braud 9090X with the destemming unit represents a real breakthrough in the market, coupling high capacity with top wine quality. We see enormous market potential for this combination, which has recently been launched in the North American and Asia & Pacific Regions. ?